Joshua usually has a plan and I can most often clue in as to what his plan is, such as when I hear the box I have fruit stored in the pantry closet, although, apparently not very well, hit the floor. Joshua is hungry and he wants something to eat. He either pushes a chair up to the counter or up to the shelves in the pantry so as to get me a piece of fruit to cut up for him. He’s quite tenacious and I’ve rewarded him for it by going ahead and feeding the “poor little mite”. However, since he needs to limit his fruit intake, I’ve been giving him some frozen peas or slices of cucumber, when I have it. He even goes as far as taking his Cod Liver Oil out of the refrigerator so I can give him some! I’m making plans, as well. I’ve been really trying to do better on planning out the day, the week, the month, and the year, if I can. 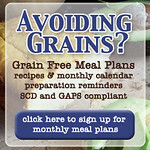 I have realized that I haven’t followed the GAPS diet as strictly as I should for Joshua. We have had to watch our budget and getting some of the supplements he needs is challenging with one income. I’ve been tutoring, which helps, but I need to look at our budget more closely to see if we can trim anything else. Ideally, I’d like the whole family on this diet. That would take some doing. However, we are making progress with just trying to eat more healthy. I’ve gotten this really neat book called Nourishing Traditions, by Sally Fallon, and we are doing what we can to eat more traditional, whole foods. Hence my spending a lot of time in the kitchen. I actually like it, but just need to get a maid to clean my house more consistently. The 8 and 10 year old “Cinderella’s” do a lot to help, but they still need a lot of training. The 5 year old is just beginning his training and the 3 year old, well, let’s say he’s making progress! I digress. I’ve been thinking about how I am going to put in a vegetable garden this year and am trying to see how I can also make some raised beds to put behind the garage in the RV space (we don’t have one) with items I can get as close to free as I can. It’s such a blessing to see how the Lord provides in so many ways. I am trying to plan out what to plant and have a friend from our parish who is willing to use his new rototiller on our garden space. All this work is for the purpose to raise organically grown veggies, fruit, and herbs for the whole family to benefit from. I really want to do Joshua’s diet “by the book” and although we have had a good start, I want to do all the recommendations, blog/journal about it and see how Joshua improves all the more. I have now read Dr. Natasha Campbell-McBride’s book, Gut and Psychology Syndrome (http://www.gutandpsychologysyndrome.com/gaps-book/) and I really think she has a good approach to a diet that can truly help autistic children. The Doctor at Children’s kind of rolled his eyes at me, due to the lack of solid scientific evidence that diets do any good with autistic children. I don’t really want to concern myself with “double-blind studies” as I think the science behind this Specific Carbohydrate diet is sound. 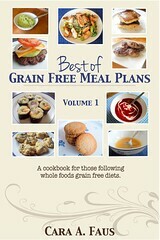 This diet goes beyond the Gluten Free Casein Free (GFCF) diet as GAPS has a three-prong approach. It’s not just the diet, as it’s also supplementation and detoxification. 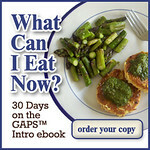 Now that I am reading the GAPS Guide, (http://shop.gapsdiet.com/product.sc?productId=60&categoryId=7) I want to set up my “ducks and get them in a row” and really do this diet properly. It takes about two years, so, the sooner I can start, the better. I hesitate to figure out the official start date as I really need to make sure that when I need to get certain food supplies, detoxifying agents or supplements, I can just get them. So, the first task is to talk with my husband and sit down together to figure out our budget for this. What’s neat is there are people who have gone before me that have provided a lot of great tips such as the author of The GAPS Guide, Baden, check out her blog for valuable information: http://gapsguide.com/ Despite my understanding that this is going to be a long process, I still struggle with having a sense of urgency. I guess that’s because I want him to get well so badly and have such hope that this diet will help, even more than it already has, in addition to the other therapies we are utilizing. That sense of urgency has to be balanced, somehow, especially on days like today. I had to cancel Joshua’s first Vision Therapy appointment this morning due to his brother, Michael, coming down with diarrhea. Instead, I am having to slow down, try to get the girls to focus again on our house blessing time and get some school work done. I don’t like all the running around, honestly. This constant adjusting to everyone’s needs is quite the challenge. Some days I don’t know if I have ADD or just having a tough time adjusting to all the demands. I think I’m pretty healthy, over all, but I guess I need to go on the diet to so I can at least see if it will help with ruling out ADD. I must have some gut flora issues (I do have lactose intolerance), as it’s passed from mother to child. That will be tough…I’ll have to think about that one, but if I want my kids to do this, I should be willing to make the commitment as well. Oh, no chocolate? Now that’s something to think about! This entry was posted on Monday, March 15th, 2010 at 6:17 pm	and is filed under Autism Diet, Autism Resources, General Autism Info. You can follow any responses to this entry through the RSS 2.0 feed. You can leave a response, or trackback from your own site.